POUGHKEEPSIE, N.Y. (March 7, 2018) – No. Go. Tell. Three simple words that can help keep a local child safe from abuse. But how does an innocent child recognize that they’re in danger, especially if the person harming them is a relative or trusted family friend? Reaching more than 14,000 students in nine of the 11 school districts throughout Dutchess County, The Center for the Prevention of Child Abuse (CPCA) Personal Safety Program empowers children by teaching them that when they feel uncomfortable, loudly say “no,” make an effort to “go”, and “tell” a trusted adult. These assertiveness skills are essential for every child, and can be the first step toward identifying cases of child abuse in the community. Since the program began in 1973, thousands of children have disclosed an abusive situation to CPCA staff members. Presented in the comfort of a student’s regular classroom, trained CPCA professionals utilize puppets and videos to deliver their vital message of self-empowerment in an easy-to-understand and age-appropriate manner. The program stresses that each child is in charge of their own body, as well as how to distinguish between loving touches and those that are unwanted. A racing heart. Sweaty palms. A feeling of butteries in their belly. The Personal Safety Program helps children recognize these key indicators, which when occurring in a context the child now recognizes to be dangerous, can signal an abusive situation. Students are taught to understand their personal “alarm instinct,” to brainstorm about the many trusted adults they can confide in when feeling troubled or confused, and to only keep happy secrets, rather than ones that make them feel nervous or afraid. 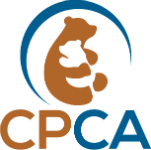 To help the CPCA expand the Personal Safety Program and reach every child in Dutchess County, visit TheCPCA.org and make a donation. Or become a “Champion Against Child Abuse” and attend the organization’s annual benefit and silent auction on Thursday, April 19 at The Grandview in Poughkeepsie. Attendees will enjoy sumptuous hors d’oeuvres and delectable desserts while bidding on unique products and experiences in a silent auction. John O’Shea, Chairman of the Board at Marshall & Sterling Insurance will be honored. Thanks to: Precision Pipeline Solutions, Health Quest, Marshall & Sterling, Central Hudson Gas and Electric Corp., Hudson Highland Properties, LLP, Kaplan Family Private Foundation, KeyBank, M&T Bank, Vanikiotis Group, and Williams Lumber and Home Centers for sponsoring. To purchase tickets, visit TheCPCA.org. The Center for the Prevention of Child Abuse is a private non-profit that has been dedicated to the reduction of child maltreatment since 1973. Each year, it serves approximately 20,000 children and provides support and education services to more than 3,000 adults. They are the only agency in Dutchess County providing sexual-abuse prevention training. Support services help abused children — and educate adults to prevent future abuse. For more information, visit TheCPCA.org.